The Frapin family can trace their roots in the Cognac region to 1210. They began as vine-growers, and then began distilling their own spirits. Frapin is now in the enviable position of being the largest single-estate in the Grande Champagne region of Cognac, with generations of experience and tradition on which to draw. In early 2007, Jean-Pierre Cointreau took over the running of the business. 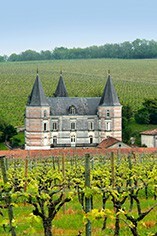 The estate covers 300ha of vineyards, officially listed as Premier Grand Cru du Cognac. Two hundred hectares are planted to Ugni Blanc. The soil here is identical to that found in Reims - crumbly, chalky, hence the area's name 'Grande Champagne'. Frapin is renowned for its intense, wonderfully balanced and flavoursome cognacs. These are rich, long-lived spirts that display extraordinary complexity of aroma and depth of flavour. Each individual spirit is left to mature to its own optimum condition. The fairly small scale of production also allows the family to hold generous stocks of mature spirits. The Frapin family have been vinegrowers and distillers in Charentes since 1270, and count Rabelais among their ancestors. The family owns the largest single vineyard in Cognac Grande Champagne. Named after a twentieth century BB&R ancestor, Francis Lawrence Berry, this Cognac is floral and fragrant, with mellow, mature flavours. 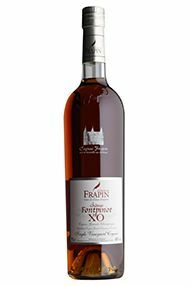 Frapin is renowned for its intense, wonderfully balanced and flavoursome cognacs. 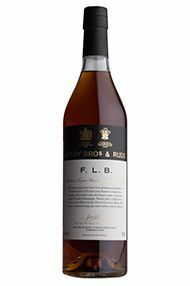 These are rich, long-lived spirits that display extraordinary complexity of aroma and depth of flavour. Each individual spirit is left to mature to its own optimum condition. The fairly small scale of production also allows the family to hold generous stocks of mature spirits. From grapes grown on the vineyards surrounding the eponymous Chateau, this XO is Rich amber in colour and chock-full of marzipan-wrapped, glacé citrus on the nose. There are few more lusciously appealing Cognacs than this example from the venerable house of Frapin. Plume Frapin is a limited edition prestige cognac, created from 20 eaux-de-vie, each produced exclusively from the Ugni Blanc variety, grown in Cognac Frapin’s 240 hectare domain in Grande Champagne. It has been aged for over 60 years in antique barrels (over 100 years in age) and stored in the Pierre Frapin cellars at Chateau Fontpinot. The name ‘Plume’ and the imagery of quills used on the packaging is in homage to the family history and the link with the famous French writer Francois Rabelais who was the son of Antoine Rabelais and Anne-Catherine Frapin. The decanter is edged in 18 carat rose gold. 500 decanters have been produced.